Carter BBR-1 carb floods going up rough hills. 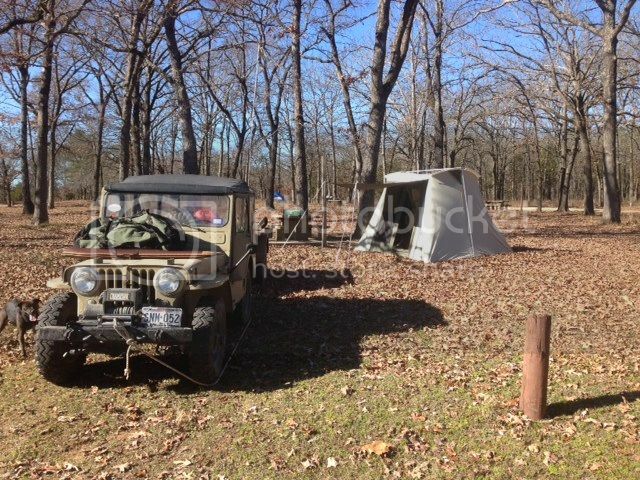 The Studebaker Champion 6 repowered CJ2a runs OK. But get it on a rough trail nosed uphill and all I'm trying to do is keep the bucket running. I can pretty well predict the exact sequence of rocks/roots and incline ahead that will result in a choking, sputtering, barely running rig. No fun. I'm pretty darn sure the main cause is the Carter BBR1 carb. The bowl is in the FRONT of the carb. I noticed all the Jeep/IH scout inline carbs have bowls on the sides of the carb. They seem to run quite well despite bouncing and going up hills. Whatsa Studebaker Champion 6 cly? Just picture a willys L head with 2 extra cylinders and everything switched left for right. It is a simple carb with 3 main systems. main circuit, idle circuit (also involved in running mixture) and the accelerator pump ckt. I know I have a problem with the accelerator pump ckt. I think the spring on the plunger isn't long enough anymore, so on tip in, there is no accelerator pump plunger action as the throttle plate opens. This makes it lean out for a second. (fall on face, then snap back into action.) This doesn't help when you are trying to feather the throttle to maintain minimum speed over obstacles. I JUST found an NOS spring that might be the right length. Taking out the slop in the pump linkage with my pliers would probably help too. Notice how close the main discharge port is to the float level? It doesn't take much of a nose up hill condition to get the fuel level in the bowl higher than the discharge port. Shoot. It looks like you could park on a hill and gas will pour out of the bowl through the main discharge port even if the engine isn't running! Tip for me: Try to park nose down for easier re-starts. So, am I doomed here with the carter bbr1 and it is time to come up with something different? Lots of carbs were fit to this engine over the years. Which one might work best for me livin' at 9,000 feet above sea level and driving off-pavement? Thanks team old Jeep Carb! I got no answers for ya but we damned sure missed ya @ BHR!! I will do some digging on this. Hey thanks, guys. yeah. I still lack the correct tow rig for trips to SD. Plus, you had a full house. I wanted to let some other flatties in there. I saw a picture of an NOS Carter WO 468 on ebay. the linkage is still completely different than my current ball and ball which, according to the numbers, came off a Dodge at soome point. The 1940 Champion was reported to get more than 27 MPG with this carb. (Frankly that doesn't bode well for "performance." GMC Jr. I can't see the images at work. I'll have to check it on my phone. Is it the offenhauser dual carb setup by chance? Cool? yes. Functional? I'm not so sure! 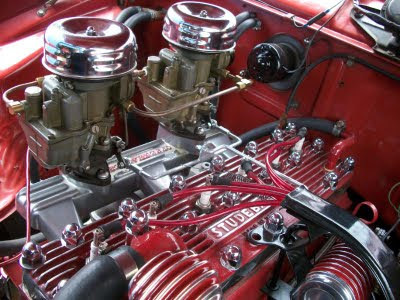 A brace of Stewart Union SU8's would look nice on the side of the Studebaker, eh OilLeaker? I’m still looking. The WO won’t help much for altitude but, a spring loaded needle in its seat would go a long way to keeping it running. The spring absorbs the bumps and keeps the float close to normal. They were a ball bearing type inlet valve for the float chamber. My '74 Volt Wagon (nazi go cart) (pregnant roller skate) solex carb had that. It would lock up and not let fuel in about once every 2 months. On my Brit cars, I prefer the neoprene tipped type inlet valves. Never upgrade a Brit car, they are stubborn like the British/Scottish indigenous folks who resist change. The cars also resist change. After they sit, they always gumm the inlet needle. You turn on the SU fuel pump and listen . If it keeps ticking, it's going out the float overflow. If it stops ticking, you need to tap on the float chamber to jar the needle loose. Yep, school of Limey traits for sure. So, back to your carb, if you measure the mounting stud pattern, and throat diameter, can to find a suitable carb that way? An old chevy six cylinder carb? Rochester? Carter? Weber downdraft? Forget the SU's and Stromberg side drafts. Oh, never look up the throat of a Weber sidedraft and operate the linkage. Talk about peeing on your face or shirt. I never knew they had a accelerator pump in them!!!!!!!!! How about a Holley 1904, I happen to have one I believe came off a Ford 6 cyl industrial engine. Rudy if you would like it I can drop it in the mail. Ha! Thanks for the Weber tip, Oilleaker. Scoutpilot: Thanks for checking into stuff and thoughts on a spring loaded needle. Bruce: yeah, I think a smaller carb with higher velocity might help at altitude too. I think the 4 cly IH scout carb would work great. Lee: I have 2 holley 1904s. One with a glass bowl for extra style points. Not sure how I would hook 'em up linkage wise. Would the 1904 "work" off pavement? I forgot what size carb it is. Maybe a #2? I'll have to measure. Workin' all day, all night tonight so it won't be for at least 24 hours. Edit: It IS a #2 carb. I found it in a post on this site from DEC. 2014. I'm still running the same carb with the same problems. Time to do something about it! 1 ¼ inch carburetor. center to center on mounting bolts 2 11/16. bore size approximately 1 7/16 inch. Stephen, I have a Rochester R1B, Chevrolet part #7002050, which was used on the 216 cubic inch Chevy six from '32 to '53. The bolt center and bore dimensions are very close to the dimensions you gave for your Carter. It is 6-1/4" tall. The float bowl is "concentric" or surrounds the main body. Chevrolet's 1957 (A larger version of the R1B was still in use on the 235) service manual says that the bowl arrangement will cure several problems, including the ones you have. It's yours if you want it. I can get you some pictures if you'd like. I also have a Carter W-1, but I need to do more research on it, as The Carburetor Shop LLC's website says that most of the early ones are "expensive, problematic, and unreliable". While the later W-1's were improved and not so problematic or unreliable, they are very expensive to restore. Scout, do you have any info on the W-1? I might mention a Carter YF, which may be the right size, and I think I have a spare or two, but they too have the vacuum-actuated accelerator pump and power valve like Oilly mentioned in the BBR, and I'm not pleased with the two different ones I've had on my 3B. RealDeal has a YF on his L134 though, and it seems to work very well. Scout? We will get you fixed up with something, one way or another. See you soon.